Rifle scopes are optical sighting devices that enable a hunter or gunman to see long-distance targets telescopically, thus even from afar they’re able to shoot or “snipe” at them with eerie precision. They’re essentially a combination of lens, eyepieces or oculars, reticle markings, illumination technology, and so forth. Nowadays, many firearm users have some kind of scope on most of their rifles and even pistol handguns and shotguns. It’s better than shooting with an open sight because there is increased accuracy in your shot and whatnot. These scopes exist and are selling like hotcakes in the gun field because they simplify things. If a target moves, you can adjust by reflex and fire with a scope rather than reset everything you’re doing and attempt to put it in your sights again. Advanced scopes can even give you “HD” quality pictures of your target, whether it’s a clay pigeon or a real one. 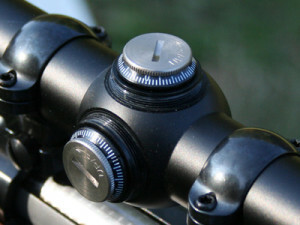 Scopes eliminate the frustration of switching from rear to front sight focus of a non-lens iron sight without a scope. With that said, you should always use the right tool for the job. Don’t just buy the most powerful scope and think it’s like a Swiss Army Knife that can suddenly adjust itself for you depending on the situation. A 3x-9x scope is enough for the average deer rifle. Riflescopes magnify your target like a telescope, make them appear closer, and line up your shot easier so that you can get more accurate shots. The difference between a scope and an open sight is like the difference between a traditional bow and arrow and a crossbow. 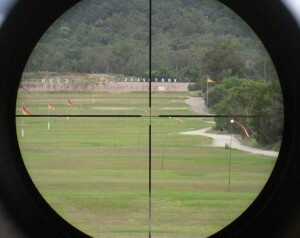 A red dot sight or a scope is easier to aim than lining up an open iron sight perfectly. The one with the scope has an automatic advantage. At any rate, although scopes kind of slow down the action and an iron sight plus reflexes with additional bullets in your magazine can get the job done, there’s no substitute for their support for long ranges and low lighting conditions. Metallic sights require you to line up your rear sight with the front sight and your target, which means they can be quite the nightmare to shoot at a moving target because there are so many things you have to do to keep your shot straight, especially at a long distance. 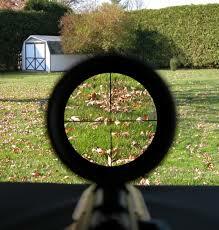 A scope magnifies your target relative to your sight so that you can aim at a seemingly bigger target. Your scope’s reticle or crosshairs does all the aiming for you most of the time. They’re the only things you need to line up before firing, plus it’s easier to learn how to shoot with a riflescope than an iron sight. Making the right riflescope adjustments requires you to have the right type of scope in the first place for your specific application. Less is more, actually. Instead of being wowed by bells and whistles like bubble levels, lighted reticles, and giant turrets, you should pay attention to the scope’s main ability to make your every shot count. Rifle accuracy is measured by MOA or Minute of Angle. In one degree, there are 60 “minutes” or smaller fractions of the degree. One MOA is 1/60th of a degree. Three MOA are 3/60th or 1/10th of a degree. You should make adjustments to the angle your shot will go in light of the MOA of your scope. For 100 yards, expect to shoot a three-shot group in an inch diameter circle. Aside from adjusting for the MOA, you also have to adjust the lens for windage and elevation. You adjust the elevation knob in accordance to how far away your target is and how much gravity will affect the bullet. Even a bullet that’s shot out of a rifle will have to go down sooner or later, although its initial propulsion allows it to stay in the air longer. The farther away the target, the more you need to adjust your scope to take into consideration gravity, allowing you to shoot up and adjust. As for windage, that’s the dial you tinker with when faced with loads of wind that drag the bullet down. By compensating on the inaccuracy caused by the wind, you can adjust your aim and calculate the trajectory of your bullet accordingly. For more information on Adjustments, read our article on sighting in a rifle scope. Here are the top manufacturers of riflescopes you should probably remember when “hunting” for the right scope for your rifle, with their websites included and all. The cream of the crop of riflescopes will have you realize that the best among them are those that take the guesswork off of using your riflescope. The most popular of these manufacturers are Nikon, Leupold, and Schmidt & Bender. Nikon, usually known for its cameras, is also the king of the hill in the riflescope realm. It has the fullest range of products that should suit whatever purpose you might have. The best rifle scope brands around should be judged not by their popularity but by their relevance to you and your unique circumstances. If you want high-end scopes, go with Schmidt & Bender. If you can’t afford a high-end Schmidt & Bender scope, you can go get viable alternatives from manufacturers like Bushnell, UTG, and newcomer Vortex. If even their offerings aren’t satisfying your budgeting needs, there are countless other brands to choose from, ranging from the high-tech and cutting-edge to the low-tech but practical. Meanwhile, Leupold is the manufacturer that actually made loads of innovations like the nitrogen-filled fog-free scope. Nikon has everything from budget solutions to high-magnification scope for the true marksmen out there. The company is also a vanguard when it comes to improving other aspects of scope specs, like illumination and better MOA. There are many parts of the riflescope you need to keep track of such as the tubes, the lenses, the bells, the eye piece, the exit pupil, and whatnot. Currently, riflescopes make use of maintubes that are 30 millimeters in size because they offer more elevation, windage, and strength. It makes it easier to zero-in on the range, particularly for long-range shooters since these tubes allow you to dial up and adjust in accordance to how far away your target is. The objective lens is the lens that’s aimed at the target. On the opposite end of it is the exit lens and ocular lens, which is where you put your eye at in order to see the target better. Typically, the elevation adjustment dial is located in the middle of the scope. As for the windage adjustment, it’s the dial that’s on the side near the elevation adjustment. Meanwhile, the windage bell is near the objective lens. As for the power ring, it’s located near the exit pupil. As discussed earlier, the objective bell is the one that houses the objective lens. What’s more, riflescopes essentially work like telescopes. The ocular lens is the lens that magnifies the light from the focal point after it passes through the objective lens. The image you see when you look at a scope through the exit lens is the light that passes through it. Another part of the riflescope is the reticle, which was discussed at length earlier. This crosshair makes targeting easier and can even be adjusted in terms of MOA or Minute of Angle. A higher magnification isn’t necessarily a good thing for a scope. Not only does it detract from your available light and exit pupil size, it’s also hard to take close shots from the low end of a high magnification scope. To concentrate too much on magnification means you’re sacrificing your close range game. As mentioned earlier, 3x-9x is enough for a decent scope. Hunting scopes can never be over 6x because anything over that magnification tends to be wobbly (not to mention you have to take into consideration parallax, which will be discussed later). Only a long-range marksman with perfect vision and under perfect conditions could shoot above 9x. What’s more, a variable magnification power scope can sometimes shift the image while a fixed power scope with only one magnification mode doesn’t. 3x is low and good enough for your rifle. It provides great field of view and a large enough exit pupil for close shots in most situations. Meanwhile, 9x gives you all the magnification you need for those real sniper-grade long shots. Going for 14x, 20x, and more isn’t necessarily a good idea if you don’t need them. More often than not, opting for these high-powered, high-magnification scopes is a big mistake. The specs that you should really pay attention to when it comes to scopes are the ones relating to their optics (the clearer they are, the more expensive they get). You should also pay attention to waterproofing or fog-proofing and make sure that the scope has a substantial warranty when all is said and done. The objective bell houses the objective lens of the scope. This is what’s attached to the tube so that it’d connect to the objective lens. The riflescope bell isn’t just part of the bells and whistles of the scope. It’s actually an integral part of the scope. It’s like the optic nerves that connect your brain to your eye and gives you sight at the same time. Without it, the objective lens won’t be able to collect the light that goes into the scope and illuminates the images projected into it. The objective bell also dictates the diameter of the objective lens, which in turn influences scope magnification: The larger the lens, the higher the magnification of the scope because it should compensate in size to get the right exit pupil size. Meanwhile, the tube is the main body of the riflescope and it comes in two main diameter sizes: 30-millimeter tubes and one-inch tubes. You should be aware of the diameter of your riflescope tube in order to put in the right mounting rings when attaching the scope to your gun. The tube is important when considering the type of scope you should get because it’s the body of the scope. It dictates how lightweight or heavy the scope can be. 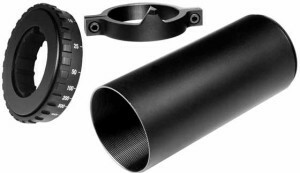 A riflescope is essentially tubes inside tubes. The inner tube has lenses that refract the light while the outer tube is the protective shell of the inner tube and serves as the mount of the objective bell and the eye piece. Riflescope lenses are important because, when you think about it, riflescopes are nothing more than tubes housing lenses that magnify an image when you put your eye on the same optic plane as the image you’re looking at. These series of lenses are the things that bend light rays to achieve that optimum and clear magnification. In accordance with the laws of physics, the more high-powered the scope, the bigger the lenses and the longer the tubes. 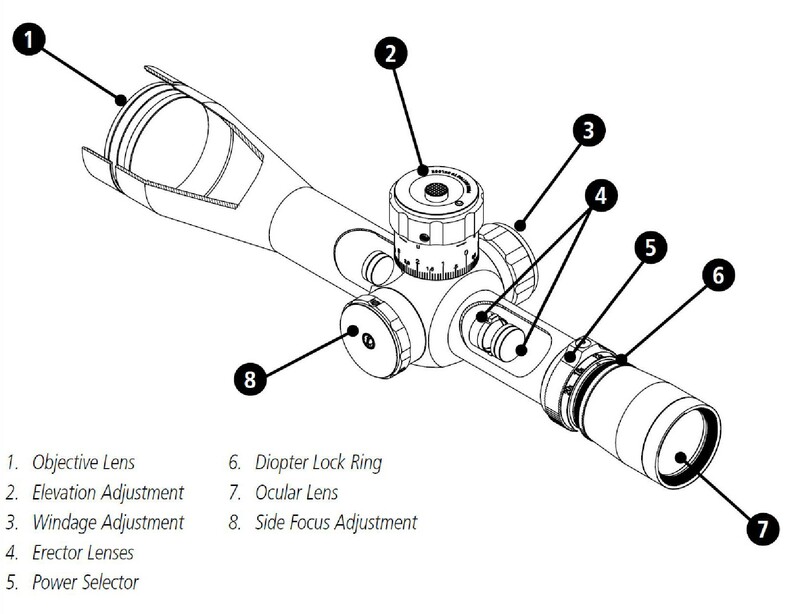 In turn, the more low-powered the scope, the smaller the lenses and the shorter the tubes or the body that houses the lenses. The lens glasses used for riflescopes are carefully chosen based on optical-engineer-specified optical requirements and their function within the riflescope itself. The glass used on these lenses are cut and polished to remove inclusions, scratches, and imperfections that could compromise the passage of light through the scope, ensuring a clear image of your target every time. Layers of metallic compounds used to magnify the transmission of light are then put in special multiple coats on the lens. The best scopes out there have unsurpassed brightness and clarity even during low-light or foggy conditions. Nowadays, it’s much easier to know the difference between brown underbrush and a tan game coat that it was mere decades or a whole generation ago. It’s because of these advancements in lens technology that all these have become possible. Some even have anti-glare protection through blackening the lens edges and intensive grooving from the scope tube’s interior allows light to be channeled properly. Visibility is your primary concern when it comes to your scope, especially when dealing with low-light conditions. Meanwhile, reticle choice is aided by visibility although it’s ultimately a preference dictated by personal preference than anything objective. Leupold invented the Duplex flexible reticles a good four decades ago. They lead the shooter’s eye in a natural fashion to the aiming point’s center, thus they’re the best when it comes to shooting in heavy cover or at close range. There have been finer or lighter variants of this reticle that offer different benefits, such a providing a fine aiming point for long-range shooting and offering a good range estimation for you eye. Reticles have evolved to become more complex yet capable in improving range-estimating, especially the reticles available nowadays. Reticles like the Horus Vision or Mildot have been designed for more tactical operations while other reticles have variations in shape, in placement, in visibility, in complexity, and in practical simplicity all for the sake of making sure you get as accurate of a shot as possible and even with a long range scope, you can calculate the MOA well enough by the crosshairs alone to make your shot count. Every reticle is blessed with aiming points or grids to make the truly faraway targets easier to hit. Great hunter-friendly reticles include the TDS reticle, Varmint Hunters reticle, Boone & Crockett Big Game reticle, and Ballistic Plex reticle because they have simple yet effective visual crosshairs that make hits at even the longest ethical ranges as though you’re the American Sniper Chris Kyle or the White Death Simo Hayha. 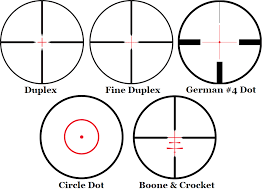 There are four types of reticle. The basic reticle offers an aiming point at most. Manufacturers can market or call them anything—Heavy Duplex, 30-30, Nikoplex, Duplex, or fine crosshairs—they all mean the same thing. They all offer a central aiming point while the thicker reticles of this type are preferable when handling low light conditions or hunting targets amidst busy backgrounds like foliage. This is because they draw your eye towards your field of view’s center. As for the BDC or Bullet Drop Compensating Reticles, they’re the one that you use in light of bullet trajectory. A bullet fired horizontally with a gun will drop to the ground at the same time as a ball that’s dropped by hand due to gravity. This reticle works by giving you gravity compensating leeway. The reticle indicates how high you should aim in order for your bullet to hit a target that’s far away so that you can compensate for the gravity that will always make your bullet hit the ground first the farther away your target is. 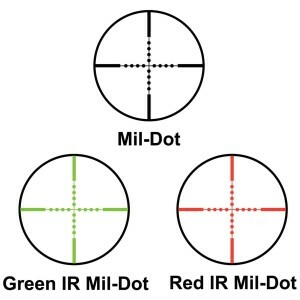 The Mildot or MilDot reticle is the crosshairs you use for distance calculation. Mil in this context means milradian, which is 1/1000 of a radian. A radian is the angle formed at the center of the circle by two radii cutting off an arc that has the same length as the radius. Finally, illuminated reticles are lighted reticles that work best in low light. Some of them even have adjustable lighting controls so as not to disturb your eyes’ own night vision. If you put your eye too near the scope, the recoil of the gun will have the scope hitting your eye. You could develop a black eye at best and a damaged cornea at worst. In turn, eye relief refers to the distance between you and the eye piece wherein you can still a clear image. The right amount of eye relief will keep your eye from being damaged from rifle recoil when shooting. Of course, eye relief also happens with binoculars, microscopes, spotting scopes, and telescopes. As long as the distance you’re looking through the scope’s eye piece gives you a full viewing angle of what you’re supposed to look at, then that’s within the eye relief of the scope in question. Outside-the-distance viewing will result in a reduced field of view every time. For a concept that’s relatively simple to grasp, calculating the eye relief for any kind of scope, especially ar 15 scopes, is quite complex. As a rule of thumb, you’ll get a shorter eye relief the larger the intended field of view and the higher the magnification of your scope. In turn, the lower the magnification and the smaller the field of view, the longer your eye relief will be. With that said, do not confuse the exit pupil width of your scope with the eye relief property. You should also be warned that the given eye relief on your product specs doesn’t always offer an accurate view of what to expect. Some lens mountings don’t allow as much eye relief as theorized by your product’s specifications. Parallax isn’t a feature of riflescopes but a common problem that top scopes have ways of dealing with as part of their specs. This is a common issue for high magnification scopes, in fact. Unfortunately, many users are confused or they outright misunderstand what this subject is all about. Parallax happens when an apparent movement of objects from within the field of view happens relative to the reticle of your riflescope. The images move not because your target is escaping but instead because of a phenomenon in high magnification scopes where what you see starts having movement that’s not supposed to be there, like from an optical illusion induced by a magic eye picture. This happens whenever the object’s “primary image” is formed either behind or in front of the reticle. Needless to say, this distorts the image and makes it so difficult to aim you’d have difficulty shooting the broadside of a barn. They induce sighting errors and thusly require some sort of parallax adjustment spec (on the optical system’s objective part) to combat this problem. If your eye moves from the scope’s optical axis, you’ll also get the parallax effect. 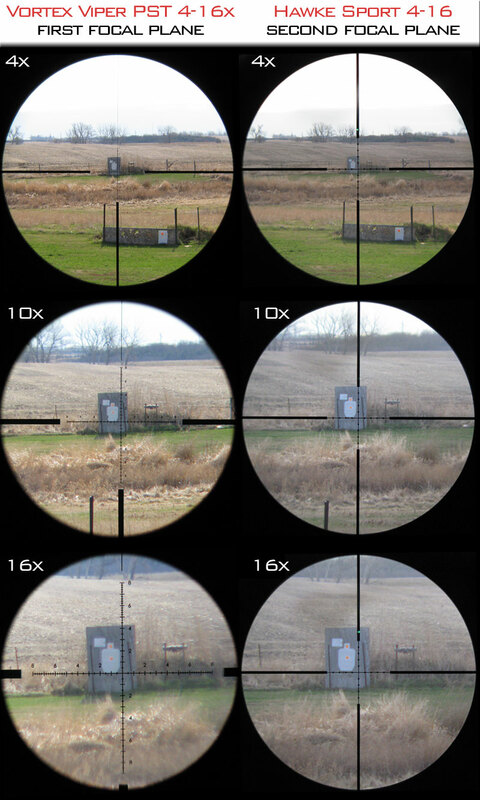 Parallax safeguards in scopes essentially find ways to make sure that the primary image of the object being targeted is formed at the same focal plane of the reticle. These riflescopes also ensure that your eye is positioned on the scope’s optical axis. Regardless of the primary image’s position, as long as those two conditions are met, you will not receive parallax. A riflescope can be constructed in such a way that it ends up fog-proof when used. 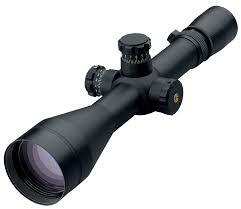 Again, Leupold was ahead of the curve in this department by developing the first nitrogen-filled riflescope in 1947. Long story short, the nitrogen inside the scope gets rid of the possibility of fog within your lenses. This innovation in riflescope technology came about due to the common complaint of fogging in lenses. Fogging has plagued many scopes; from riflescopes to even the centuries-old telescope. It’s especially difficult to clean out fogged lenses from within the scope because this entails taking the scope apart or waiting for the condensation on the inner lens to dissipate altogether. Scopes up until that time weren’t dependable in the field. They had a mostly fair weather kind of disposition. What this meant is that depending on the weather, they can be extremely useful or extremely worthless. If humidity in an area picks up, you won’t see anything from the cloudy lenses at all. Thanks to Leupold& Stevens, a new industry standard was created, thus riflescopes were able to be used in the field and the scope was able to purge the oxygen inside it by filling it with nitrogen. Today, nearly all scopes (except perhaps the really budgeted or bargain bin scopes out there as well as antique pre-war scopes) have some sort of fog protection added to them. This is an important spec because the overall outside field performance of the scope hinges in how fog-proof it really is. In plain terms, MOA means the farther away your target; the more “off” your aim would be to your crosshair. For 200 yards, it’s 2 inches, for 300 yards it’s 3 inches and so forth. It takes a professional marksman to adjust in accordance to the MOA of the scope, but in the field, even the most expert of marksmen can fall short due to a number of circumstances, like moving game or the wind going against him. It still helps to have a scope and to calculate how much offside you expect your shot will be the farther away your target is, so you need to adjust where you aim that reticle to better get that proverbial bull’s eye. You don’t need to be as accurate as a surgeon, but the more you know about MOA and adjustments, the better your results will become. The MOA was explained at length in this portion of the article because it’s highly relevant to your mounting instructions for your scope, which can be tapered or flat. If your scope has 85 to 120 MOA of internal adjustment, a flat base is all you need. You should only get a tapered base if your scopes feature less MOA adjustment in order to reach accurate shooting capabilities beyond the 600 or 700 yard mark. In short, if your rifle has a scope that can easily adjust itself for MOA, then you don’t need that extra tapering to compensate and a flat mount is fine. The riflescope types you should familiarize yourself the most with are the variable and fixed scopes. There are subtypes to choose from too, like night vision scopes or scopes you can use during low light conditions, scopes with laser sights to better line up your shot through a projected laser beam and red dot sights, or sights with a reticle on them. If, for example, you ended up with a 5-12×42 scope. The first two numbers refer to the magnification capabilities of the scope. A 5-12×42 riflescope has 5x to 12x magnification, meaning you can see a target five times to twelve times larger than it would appear to your naked eye through the scope. This also means that you have a variable type of scope. The bigger the riflescope, the longer its range and magnification: It also makes it heavier and harder to lug around. You might as well tape a telescope onto your shotgun if it gets too big. However, the real question you need to ask yourself is whether or not you need loads of magnification at all. You should use the right scope type and brand for the right circumstance. Huge, powerful scopes when you don’t need them result in wounded game and loads of missed shots. Always buy the appropriate scope. You won’t shoot necessarily farther or more accurately the more powerful your scope is. It’s also more important to know how low your scope can go instead of how high. After all, you can always shoot far with low magnification or have enough time to turn the scope up in order to adjust it. However, up close you can’t shoot with high magnification because your field of view and exit pupil is too small, so having that low magnification power leeway is a must for your scope. It’s always better to get the right size of scope that has around 3x to 9x of magnification that offers the right amount of utility for all your hunting and shooting range requirements than to go with the biggest, longest, and most powerful scope you can find yet still end up with something more complicated, less reliable, and less usable than a scope that’s just the right size and has the right specs all throughout. After all, aside from magnification, you also need to take into consideration eye relief and field of view to complete the elements of the optical triangle. There are many accessories to choose from that you can buy and put with your scope in order to enhance its magnification and long-range shooter capabilities. First, there’s the Laser Bore Sighter, which is a battery-powered laser that allows you to bore-sight with extreme precision that’s perfect for 0.22 to 0.50 caliber guns. As for the Magnetic Bore Sighter, it eliminates the need for arbors when using it because it magnetically attached itself to the muzzle and even comes with etched glass reticles to boot. Speaking for arbors, you need these in order to fit non-magnetic bore sighters unto a muzzleloader or shotgun shooter. You can also buy protection for your scopes, from sunshades to covers. Other accessories include the aforementioned scope mounts, which can either be a World-War-II-grade tapered mount or a more common flat mount that’s more of a perfect fit with today’s more advanced, MOA-adjustable riflescopes. You can also buy kits for these mounts, like the Torque Wrench Mounting Kit that allows you to tighten the torque of your mount so that you won’t have to reset and remount your rifle after every shot. There’s also the battery holder for your riflescope that enables you to have a spare battery handy and safe at all times. The prices of the scopes you wish to buy will depend on their quality and the popularity of their brand. For under $500, you can buy something like the Nikon Buckmasters 6-18x40mm Mildot, which is dollar for dollar the most cost-effective scope you can buy at such a cost-advantageous price. For $500 to $1,000, you can get your own Leupold Mark AR 6-18x40mm Mildot, which is a scope that has the ability to help you hit game at around 1,000 yards or more. You will be amazed at the capabilities of this Leupold model for something so relatively low level in terms of pricing. Then there’s the $1,000 to $1,500 range, which allows you to buy the Leupold Mark 4 LR/T 6.5-20x50mm Mildot and the Bushnell Elite Tactical 3.5-21×50 G2DMR. The Leupold Mark 4 is a nice scope with nice adjustment range that gives competitive shooters the edge they need to compete. The Bushnell Elite Tactical is a popular mid-priced scope with a Horus-style reticle and high 21x magnification offerings for those who need it. On the higher end of the price scale are the $1,500 to $2,500 scopes like the Nightforce NXS 5.5-22x50mm MOAR that offers high-speed turrets and a zero stop option. This is the shooter’s scope through and through. Then you have the Vortex Razor HD 5-20×50 EBR-3 MRAD. Although Vortex is a new manufacturer, this actually gives them the edge because they only use the latest technology on their HD scopes. Finally, if money is no object for you, then you should definitely get the Schmidt & Bender PMII 5-25×56 P4 Fine, which has all of the advantages of the above and more plus none of their drawbacks. A good warranty serves as an indication by the company that they’re perfectly confident about the longevity and durability of your product or you’ll get a replacement right away. 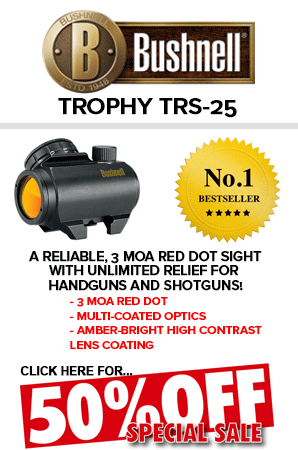 If it’s a warranty that lasts two years, then expect your riflescope to last at least two years. Naturally, the best warranty is an unused one, but during rare occurrences that a scope does give out, it’s good to have some sort of insurance and product service that will deliver to you a new scope for free by friendly, reliable, and fast couriers. With that in mind, which manufacturer has the best warranty? Is it the ever-popular Nikon, with its scopes that cover the entire price range, from budget offerings to high-end scopes that give even Schmidt & Bender a run for its money? Is it Leupold, with its Golden Ring Guarantee that ensures if the scope doesn’t function as advertised, they’ll do everything in their power to fix it? Hands down, in the opinion of this reviewer, it’s Vortex. The newcomer manufacturer is making a name for itself not only through its high-tech scope offerings, but also for its VIP, no questions asked, and no receipt lifetime warranty that’s transferable and serves as an assurance that your Vortex product will be replaced or fixed for any reason at no extra charge of the customer. In light of everything you’ve discovered about riflescopes through this article, it should be abundantly clear to you by now how important they are in the world of guns, sharpshooting, artillery accessories, and hunting. Therefore, when shopping for the right riflescope, you should know the ins and outs of it so that you can compare your needs to its capabilities and find a perfect match. You don’t necessarily need all the bells and whistles if you’re a novice learning to shoot long-range during hunting season, after all. Just as you don’t use a sledgehammer for finishing nails or a claw hammer to do demolition jobs with, you should have the right magnification power and type of scope for your specific needs. Uninformed hunters and gun enthusiasts should avoid thinking that the more powerful a scope is; the better it automatically is unless you’re aiming to become the next American sniper or something. Don’t buy powerful scopes only to shoot with a whitetail deer rifle with a target that’s within a hundred yards away from you.